6 − = 3 Required Please enter the correct value. The white metal went on a rollercoaster ride Thursday, trading as low as $18.85 before settling at $19.68, up 1.3%, or $0.25. "The severe fluctuations in the gold and silver prices were accompanied by high trading volumes on the Comex [on Thursday]," Carsten Fritsch, a commodity strategist at Commerzbank, told Bloomberg. "Especially in the case of silver, 130,000 futures contracts were traded – twice as many as in the preceding days – which points to speculative and technically oriented investors. On the other hand, the high volatility could deter physical buyers, which would put short-term pressure on prices." Bargain hunters, however, are likely to cushion silver prices. Silver has given back almost all of the 15% gain it achieved over January and February. During the first two months of 2014, the white metal hit a year-to-date high of just over $22. That followed a brutal 2013 that left silver down an excruciating 36%. The white metal is now up a lukewarm 1.8% year to date. As Money Morning Global Resource Specialist Peter Krauth has explained, lower silver prices don't scare investors – it lures them in. 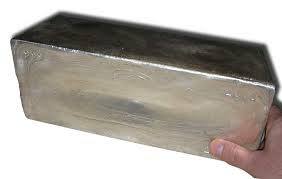 Indeed, Mark Sebastian, director of trading and investments at Swan Wealth Advisors Inc., told Bloomberg, "Silver is a precious metal, but it's also an industrial metal and it's taken a real punch in the face in the past few months. You're probably seeing some pressure on puts and a bid on calls because the metal's cheap. None of the precious metals are having the best year right now." But, we're just four months into 2014. Plenty can and is likely to happen before we close out another year. For now, here's why silver's in the bulls' corner.